148 Commonwealth is located on the south side of Commonwealth, between Clarendon and Dartmouth, with 146 Commonwealth to the east and 150 Commonwealth to the west. 148 Commonwealth was designed and built in 1876 by architect and builder George W. Pope, one of two contiguous houses (146-148 Commonwealth). In 1880, he designed and built a third house in a similar style at 144 Commonwealth. 148 Commonwealth was built as the home of wholesale shoe and boot merchant Franklin Lewis Fay and his wife, Hannah Sophia (Blackwood) Fay. They previously lived at 102 West Chester Park. Franklin Fay purchased the land for 148 Commonwealth on January 11, 1876, from the Commonwealth of Massachusetts. Click here for an index to the deeds for 148 Commonwealth. Living with the Fays were their unmarried daughters, Alice Dexter Fay and Blanche Hobart Fay, and their son-in-law and daughter, leather dealer Albert Winslow Hobart and Sophia Hopkins (Fay) Hobart. Alice Fay married in February of 1884 to Dr. Walter Joseph Otis, a physician and surgeon. After their marriage, they lived at 6 Beacon. Franklin Fay died in September of 1885. In his will, he left 148 Commonwealth and the bulk of his estate in trust, specifying that Hannah Fay was to have the right to occupy 148 Commonwealth or to lease it to others and receive the rents therefrom. Hannah Fay, Blanche Fay, and the Hobarts continued to live at 148 Commonwealth during the 1885-1886 winter season. Hannah and Blanche Fay then traveled abroad, and the Hobarts moved to the Tremont House hotel. Hannah and Blanche Fay had returned to Boston by the 1887-1888 winter season and were living at the Hotel Vendome. Blanche Fay married in October of 1889 to Frank Edwards Warner, after which they lived in an apartment at 499 Beacon and Hannah Fay lived at The Abbotsford at 186-188 Commonwealth. 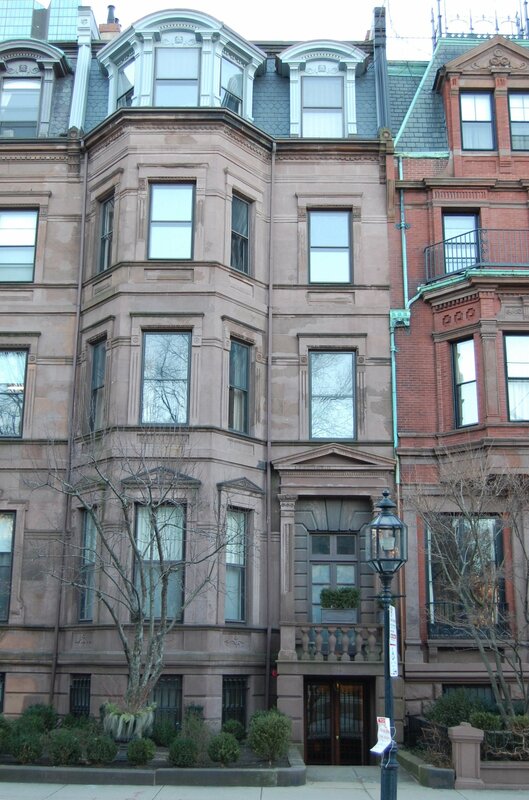 By the 1893-1894 winter season, Mrs. Fay and the Warners were living at The Charlesgate at 535 Beacon. During the 1886-1887 winter season, 148 Commonwealth was the home of Mrs. Mary (Vinton) Clark, the widow of Randolph Marshall Clark, who had been treasurer of the Boston Elastic Fabric Company. She previously had lived at 261 Clarendon and also maintained a home in Pomfret, Connecticut. She had moved from 148 Commonwealth by the next season; during the 1889-1890 season, she was living at 283 Commonwealth. By the 1887-1888 winter season, 148 Commonwealth was the home of Mrs. H. A. Bridge, probably Helen A. (Holland) Bridge, the widow of Hudson Erastus Bridge, a stove manufacturer and railroad president in St. Louis. During the 1885-1886 season, she had lived at 302 Beacon. She may have been living in Boston because of the impending marriage of her son, Harrison Parker Bridge, to Caroline Gardner Tobey; they married in October of 1889, after which they lived at 346 Beacon. Mrs. Bridge continued to live at 148 Marlborough during the 1890-1891 season, but moved soon thereafter. Living at 148 Commonwealth during the same period was Mrs. J. W. Bellows, probably Helen Elizabeth (Stiles) Bellows, the widow of John Bellows. Prior to his death in December of 1888, they had lived at The Warren in Roxbury. She remarried in December of 1889 to Charles Wesley Fisk; after their marriage, they lived in Logansport, Indiana. By the 1891-1892 winter season, 148 Commonwealth was the home of George Phipps. He continued to live there during the 1892-1893 season, but moved soon thereafter. By the 1893-1894 winter season, it was the home of cotton and dry goods merchant Francis Wright Fabyan and his wife, Edith (Westcott) Fabyan. They had married in June of 1893 and 148 Commonwealth probably was their first home together. Prior to their marriage, Francis Fabyan had lived at 36 Beacon with his parents, George Francis Fabyan and Isabella Frances (Littlefield) Fabyan, and Edith Fabyan had lived at 146 Commonwealth with her mother, Abbie Ann (Fuller) Westcott, the widow of Stephen E. Westcott. Francis and Edith Fabyan continued to live at 146 Commonwealth during the 1895-1896 season, but moved thereafter to 169 Commonwealth. In 1901, following the death of her mother, they made 146 Commonwealth their home. By the 1896-1897 winter season, Hannah Fay had resumed living at 148 Commonwealth, joined by her son-in-law and daughter, Frank and Blanche Warner. They also maintained a home Beverly. Frank Warner was an accountant with the American Bell Telephone Company. In 1898 and 1899, Hannah Fay and the Warners were joined at 148 Commonwealth by Hannah Fay’s daughter, Evelyn Daggett, widow of Henry Lefrelet Daggett, Jr. (who had died in Paris in December of 1894). Hannah Fay died in January of 1905. 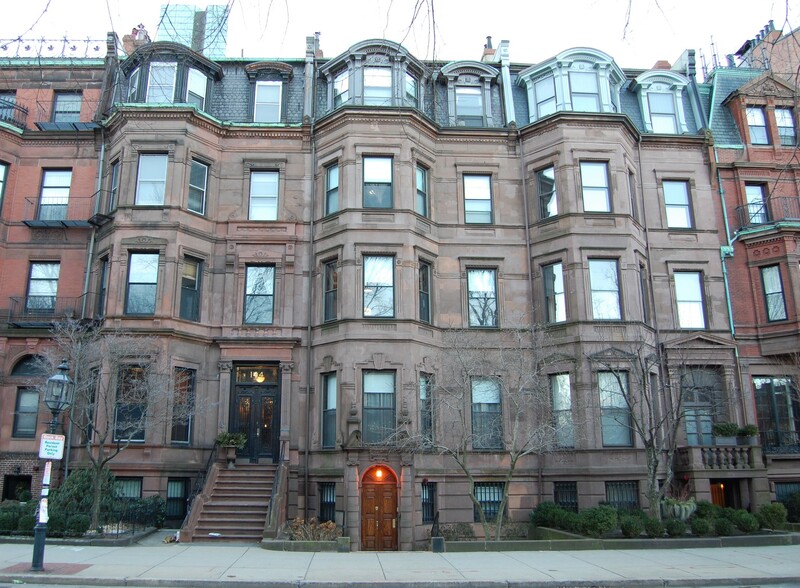 After her death, Frank and Blanche Warner moved to 329 Beacon. 148 Commonwealth was not listed in the 1906-1910 Blue Books. On June 1, 1909, 148 Commonwealth was purchased from Franklin and Hannah Fay’s son, Frank Blackwood Fay, the surviving trustee under Franklin Fay’s will, by architect Arthur Little. After acquiring 148 Commonwealth, Arthur Little undertook a major remodeling and, at about the same time, his firm (Little and Browne) also remodeled 146 Commonwealth. It probably was at this time that the front entrances of both houses were lowered to street level. Arthur Little and his wife, Jessie Maria (Whitman) Means Little, lived at 148 Commonwealth in 1910. They had lived at 161 Commonwealth during the 1907-1908 winter season, and also maintained a home in Swampscott. Living with them were Jessie Little’s three unmarried children by her first marriage, to Robert Lawrence Means: Robert Whitman Means, Claire W. Means, and Jessie K. Means. By 1911, they had moved to 35 Commonwealth. By the 1910-1911 winter season, Arthur Little had leased 148 Commonwealth to George Hastings Swift and his wife, Lucile Darst (Casey) Swift. They previously had lived at 369 Beacon. They also maintained a home in Manchester. George Swift was the New England representative of his father’s meat packing firm, Swift & Company. The Swifts (with Arthur Little’s help) decorated 148 Commonwealth largely in a French Empire style (photographs of the interior are in the Historic New England collection in Boston). Arthur Little died in March of 1925 and, on September 1,1927, his estate sold 148 Commonwealth to leather and wool merchant Eugene Rosenthal. The deed specified that it was subject to a lease with George H. Swift, which would expire August 31, 1928. The Swifts moved by the 1928-1929 winter season and by the 1929-1930 season were living at the Ritz Carlton Hotel. Eugene Rosenthal and his wife, Sadie (Rosenbaum) Rosenthal, lived at 167 Marlborough. After the Swifts’ lease expired, they moved to 148 Commonwealth. They also maintained a home in Beverly. The Rosenthals continued to live at 148 Commonwealth until 1949, after which they made their home in Beverly. On April 11, 1949, 148 Commonwealth was acquired by Amy Elizabeth (Cain) Wharton Untz, the widow of Christopher Slater Wharton and Joseph Untz. Her son-in-law and daughter, John Reginald Gundry and Winifred Amy (Wharton) Gundry, lived with her. They all previously had lived at 403 Marlborough. They operated 148 Commonwealth as a lodging house. On May 1, 1951, Amy Untz transferred 148 Commonwealth to Winifred Gundry. Mrs. Untz continued to live at 148 Commonwealth in 1953, but moved thereafter, traveling frequently to England, where she had been born and where she died in 1966. John Gundry died in 1957 and in July of 1959, Winifred Gundry sold 148 Commonwealth to Constantine Steven Tingus and his wife, Olga Tingus, and Andrew George Tingus, Constantine Tingus’s first cousin. The property changed hands and on May 31, 1961, was purchased by Chamberlayne School and Chamberlayne Junior College. Chamberlayne was located at 128 Commonwealth and purchased the house to use as a dormitory. In the mid-1970s, Chamberlayne went bankrupt and on June 16, 1975, it transferred 148 Commonwealth to Bernard P. Rome, trustee in bankruptcy. On December 15, 1976, 148 Commonwealth was purchased from Bernard Rome by the Back Bay Restorations Company, Limited Partnership (Zena Nemetz, president, treasurer, and general partner). 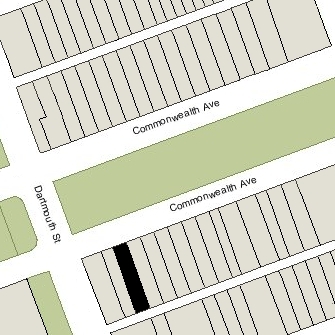 At the same time, it also purchased Chamberlayne’s properties at 199 Marlborough, 238 Marlborough, 278–280–282 Commonwealth, and 298 Commonwealth). In November of 1976, it had acquired 274 Commonwealth and 276 Commonwealth, which also previously had been owned by Chamberlayne. 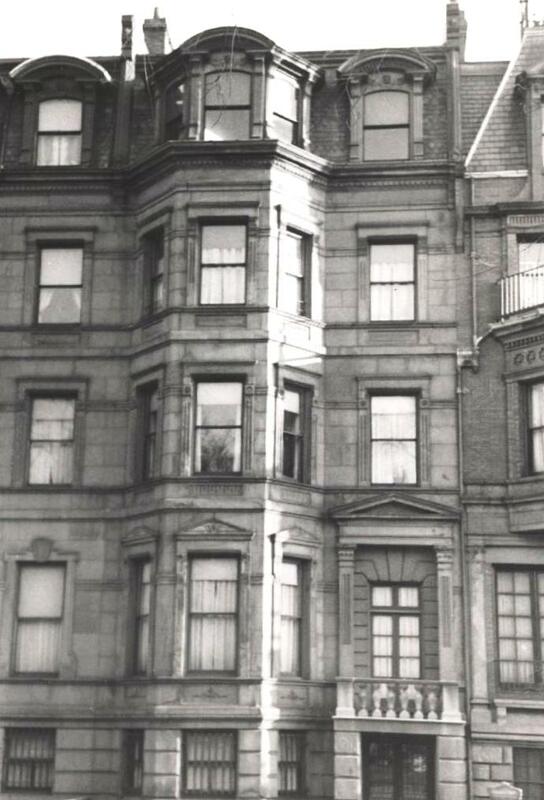 In October of 1976, prior to taking title to 148 Commonwealth, Back Bay Restorations filed for (and subsequently received) to convert 148 Commonwealth from a dormitory into seven apartments. 148 Commonwealth was converted into seven condominium units, the 148 Commonwealth Condominium. On February 24, 1992, the St. Paul Federal Bank for Savings foreclosed on its mortgage to Back Bay Restorations and sold all of the condominium units at 148 Commonwealth, 199 Marlborough, 238 Marlborough, and 298 Commonwealth to Managed Properties, Inc., of Chicago. On June 29, 1992, Patricia M. Bailey, trustee of the PBH Realty Trust, purchased the condominium units at 148 Commonwealth and the other three properties from Managed Properties, Inc. She subsequently sold the units to individual buyers.